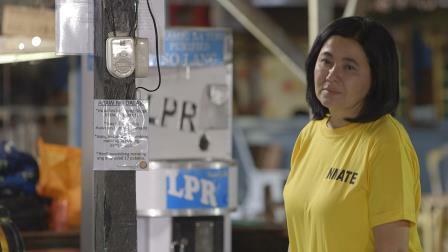 Veteran actress Lorna Tolentino returns to “MMK” this Saturday (April 8) as she plays the role of an inmate who will prove that she can still be a mother to her daughter even if she is behind bars. Ever since Maya (Lorna) went to jail in 2008 for drug charges, her daughter Joy (Alexa Ilacad) has been a constant visitor in the jail facility where she’s detained. This is how they get to spend time and bond with each other. Joy’s regular visits, however, also pave the way for her to meet Rustom (Edgar Allan Guzman), a young inmate who captivates her heart and causes tension between her and her mother. Maya’s anger grows when she learns that Joy chooses to be with Rustom when he transfers to Manila. Will the relationship of Maya and Joy be fixed? How will Maya help her daughter cope once she learns about her husband’s infidelity after she gives birth? Joining this “MMK” episode are Alicia Alonzo, Minco Fabregas, Kyle Banzon, Gem Ramos, Gilleth Sandico, Cessa Moncera, and Mario Capalad. The episode is directed by Dado Lumibao and written by Arah Jell Badayos. “MMK” is led by Star Creatives COO Malou Santos.